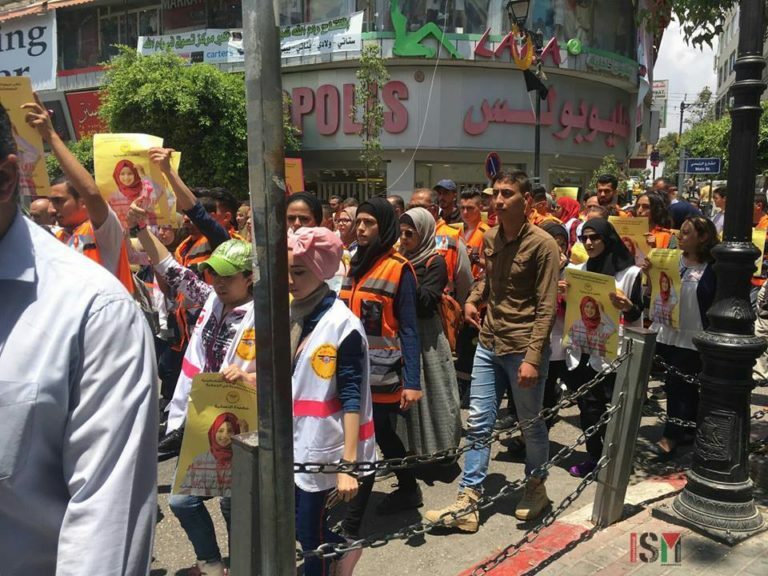 Palestine (ISM) – Sunday at midday, hundreds of protestors marched through the streets of Ramallah to mourn the execution of Razan Al Najjer, the 21-year-old medic who was executed by Israeli forces in Gaza on Friday. 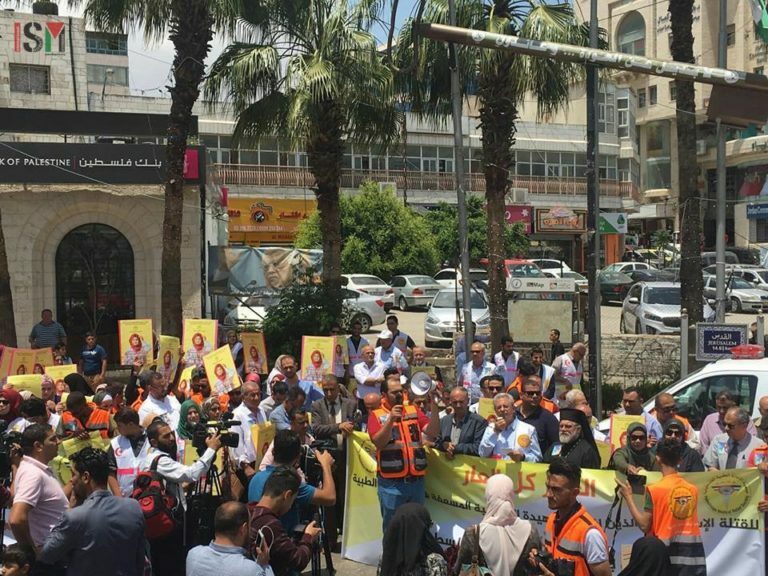 Members of the Palestinian Medical Relief Society from across the West Bank, largely students, marched with portraits of Razan. Protestors held signs calling for #JusticeForRazan and end to Israeli war crimes and the seige in Gaza. 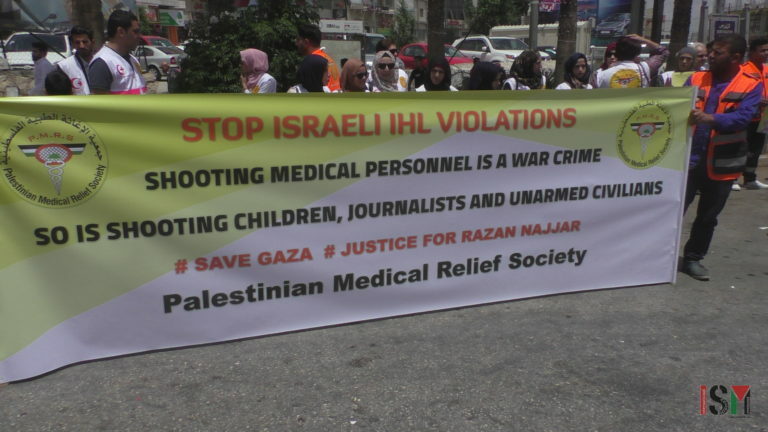 Members of PMRS have been active in the West Bank and Gaza for the past 40 years. Today the organization has over 1.5 million volunteers. PMRS has provided urgent medical care to Gazans following Israeli violence 2012, 2014, and now in 2018 during the #GreatReturnMarch.